Waterloo Warbirds T-33 577 “Mako Shark”. A shiny new Airbus A350 in the early morning sun at EAA Airventure in Oshkosh. On September 24, 1949 the North American T-28 “Trojan” made its first flight. Nearly 2000 Trojans were built between 1950 and 1957 and were used by the United States Air Force and United States Navy. Besides its use as a trainer, the T-28 was successfully employed as a Counter-insurgency (COIN) aircraft, primarily during the Vietnam War. 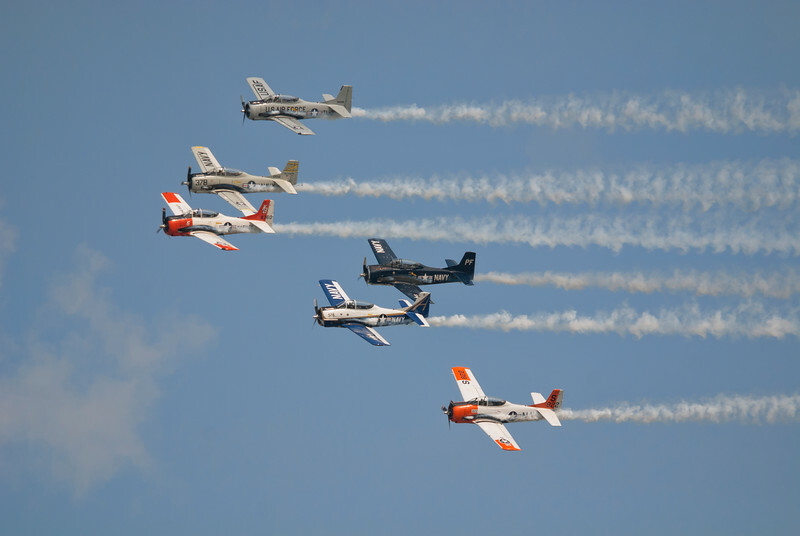 Many Trojans still fly today like the aircraft seen above flown by the Trojan Horsemen team at Oshkosh. 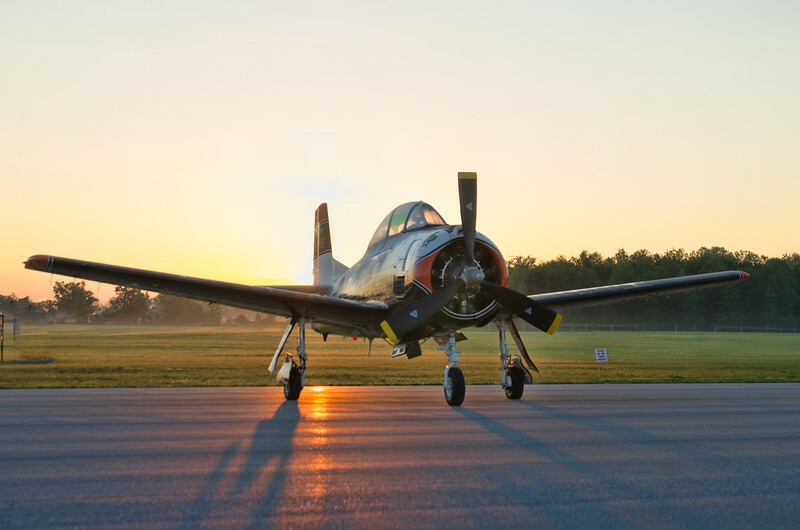 The high undercarriage and throaty growl from the Wright R-1300 or R-1820 radial engine make them impossible to miss at air shows all over the world.